Baked chicken, applewood smoked bacon, cucumber, Roma tomatoes, fresh avocado, egg and Gorgonzola crumbles tossed with romaine. (cauli ower, broccoli, carrot) and Roma tomato. Chipotle baked chicken, applewood smoked bacon, guajillo black beans, blackened organic corn, Pico de Gallo, and cheddar tossed with romaine and topped with tortilla strips. Apples, walnuts, craisins, avocado, scallions, baked chicken, and spring mix. Honey-hot shrimp with spinach, farro, red onion, Roma tomato, Kalamata olives and asparagus. 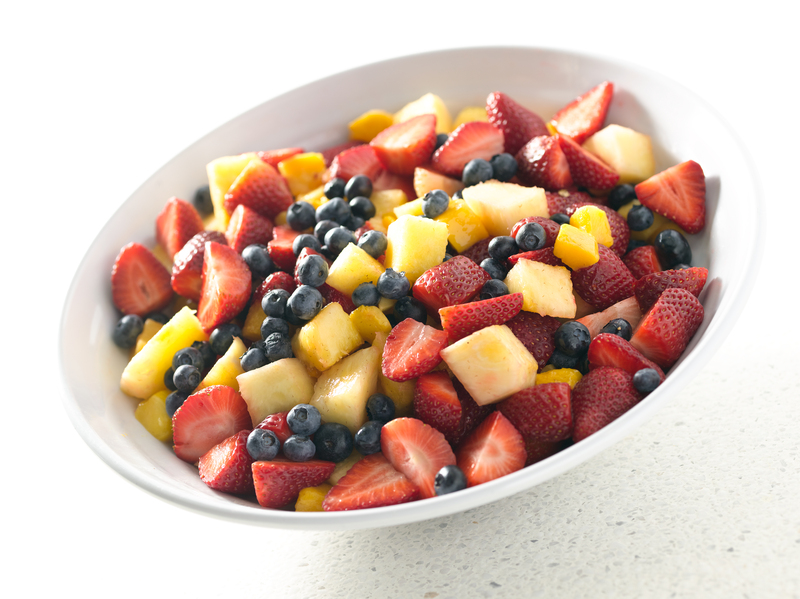 Two scoops of our house-made walnut chicken salad mixed with spring mix, strawberries and blueberries. Baked chicken tossed with spinach, organic quinoa, Roma tomato, Kalamata olives, red onion, cucumber and feta crumbles. Brown rice, organic edamame, toasted sesame seeds, roasted red pepper, fresh avocado and honey-hot shrimp. Springblend(cauli ower,broccoli,carrot),beet,cucumber, Brussels sprout, mushroom, sun ower seed,apple, strawberries, Pico de Gallo and baked chicken. Chipotle chicken, blackened organic corn, guajillo black beans, brown rice, cheddar, Pico de Gallo and tortilla strips. Chipotle chicken, spring blend (cauli ower, broccoli, carrot), quinoa, farro, avocado,organic corn and Roma tomato. Organic cilantro lime tofu, mushroom, asparagus, farro, brown rice and spring blend (cauli ower, broccoli, carrot). Choose between french roast or breakfast blend. Comes with cups, cream and sugar. Choose between earl grey, green tea or chamomile citrus. Comes with cups, lemon wedges and sugar. 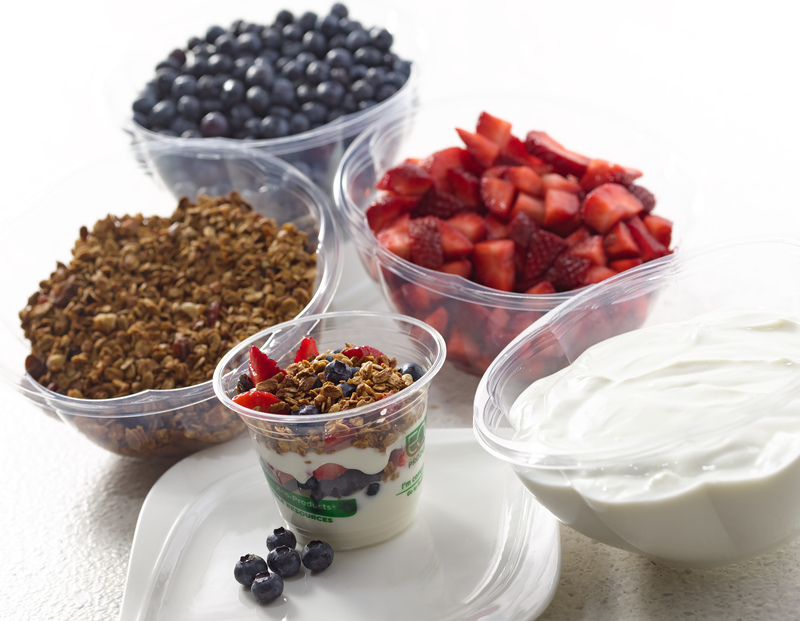 Craft your own parfaits with strawberries, blueberries, greek vanilla yogurt and homemade granola. spinach - romaine - tomato - red onion - carrot - cheddar cucumber - roasted red pepper - parmesan - sun ower seeds.